In partnership with Staffordshire’s Alton Towers Resort, Irish Ferries has announced a family-friendly deal to mark the reopening of Britain’s top theme park for the 2017 season on March 25th next. The offer, valid for travel until May 20th, sees two adults and two children under 10 enjoy a three-night stay with breakfast at the nearby Holiday Inn Express for just EUR439, inclusive of return car ferry crossing and one full day at Alton Towers. 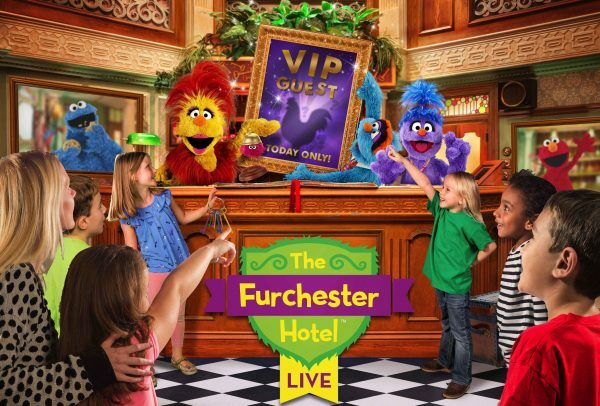 Two new children’s features – the interactive ‘Furchester Hotel Live Show’ and ‘Go Jetters Vroomster Zoom’ ride bring to 14, the number of attractions now on show at the popular children’s ‘CBeebies Land’ exhibit. With an extended line up of rides, attractions and live entertainment, children can now look forward to meeting new characters such as Elmo and Cookie Monster along with traditional favourites that include Postman Pat, Mr. Bloom, Justin’s House and the ‘In the Night Garden Magical Boat’ ride.